Lenovo-owned Motorola caught a lot of people by surprise last year with the Moto X brand revival, but even though the X4 was relatively well-reviewed, shining in the value for money department, it seems there’s no Moto X5 in the pipeline. Instead, “Lenovorola” could soon take the wraps off two new Android One-based smartphones simply called Motorola One and One Power. 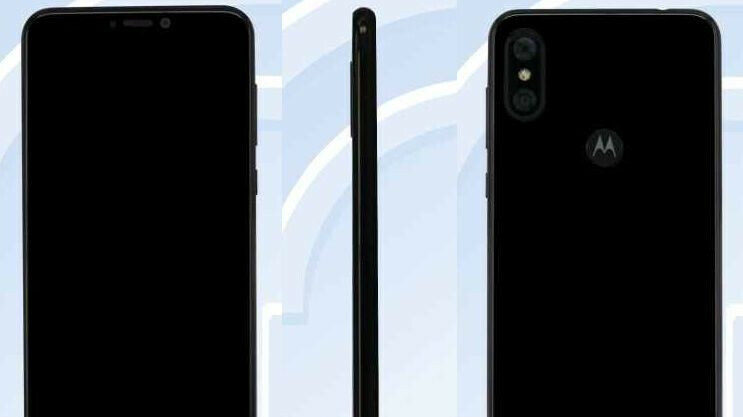 We’ve known for a while how these stock Android-running mid-rangers are supposed to look (notch alert! ), and after seeing the detailed Motorola One Power spec sheet revealed last week, it’s now time to take a look at a complete list of features for the “regular” Motorola One. Once again, we have China’s FCC-equivalent Tenaa agency to thank for a comprehensive disclosure of XT1943 information. Oddly enough, that model number appears to suggest this phone is better than the XT1942, aka Motorola One Power, although the ginormous 4,850mAh battery is downgraded to mediocre 2,820mAh capacity. Otherwise, the two devices are almost identical, sharing a large 6.18-inch screen with 2246 x 1080 resolution and a somewhat awkward 18.7:9 aspect ratio. The same unspecified octa-core processor clocked at up to 1.8GHz (Snapdragon 636?) is found under the hood of the One and One Power, alongside 3, 4, or 6GB RAM. Android 8.1 Oreo obviously runs the software show, with dual 16 and 5MP cameras mounted on the back, and a single 12MP front-facing shooter in tow. The Motorola One is apparently set to come in 32 and 64GB internal storage configurations only, compared to the One Power, which can accommodate up to 128 gigs of data, and naturally, the One is significantly thinner, at 8.9 mm (vs. 9.98). The two handsets are bizarrely listed as carrying the same 170 grams weight, which has to be a typo.